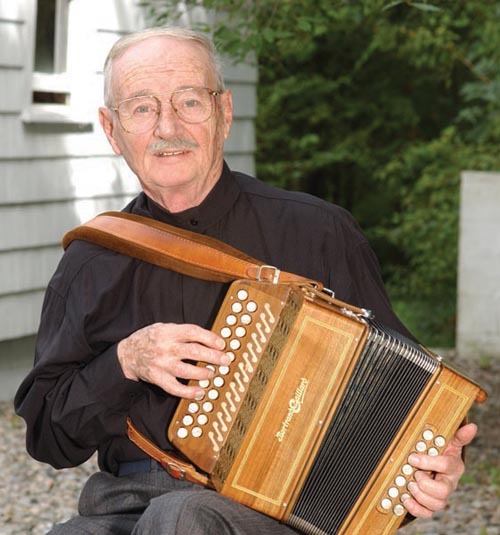 Boston-born button accordionist and composer Joe Derrane is a living legend of Irish music. We’re delighted that he will be celebrated at Boston College in a lecture/concert titled, “The Genius and Growing Impact of Joe Derrane.” The program will take place in Gasson Hall, on September 22 from 7-9pm. Featured presenters are Wall Street Journal and Irish Echo music writer Earle Hitchner and Berklee College of Music professor John McGann. Derrane will provide commentary. A live performance will feature fiddler Seamus Connolly and multi-instrumentalist John McGann. Don’t miss this evening honoring one of our country’s National Heritage Fellows. Learn More. Previous Previous post: Pickles, meat pies, lemon grass, and poppy seed cake . . .